To learn more about providing consistent and loving care, take a look at the resources below. If you have specific questions about this category or know of additional resources that should be on our list, please contact us. 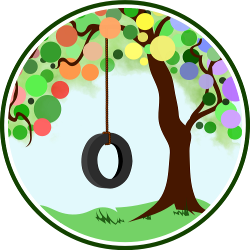 API of Peoria, IL: Provides tips to parents on how to develop healthy attachments. Included are: being away from home with baby, gentle tips for short separations, working parents and care providers, and more. Being There: The Benefits of a Stay-at-Home Parent, Isabelle Fox: The benefits of bonding between parent/child and a trusted, loving caregiver versus a widely changing array of caregivers. Practical solutions are suggested for parents. Bonding with Your Newborn, William Sears, M.D. : This article discusses the importance of bonding and how it is a continuation of the relationship started in pregnancy. Dr. Sears explains bonding for both mother and father. Bonding with your Newborn: Tips for developing a deep bond with your newborn, placing great emphasis on the father-child relationship. Green Mom Happy Mom: A blog by Jess Ray about working and practicing attachment parenting. She offers tips and advice on making the most off your maternity leave, reconnecting with baby after you return to work, keeping in contact with your baby while away, and how to balance work and attachment parenting. The Importance of the In-Arms Phase, Jean Liedloff: Explains how babywearing and continual contact with a parent or caregiver benefits the entire family. Liedloff’s research is based primarily on her time spent observing a South American tribe, which showed her how essential attachment, love, and continual closeness are to infant development. Necessity of Attachment Project: A short video explaining the importance of attachment parenting, including why early bonding is essential for emotional development. Our Children’s Needs: Article from Robert Elias Najemy on meeting the needs of our children and encouraging and fostering their abilities. Reconnecting with Children After a Long Absence, Susan J. Spieker: Information and advice on what parents can expect from children during and after a long absence (deployment, etc. ), and how to reconnect. Why Love Matters: How Affection Shapes a Baby’s Brain, Sue Gerhardt: How we are treated as babies influences how our brains develop and determines how we get along with others. Gerhardt presents proof that the manner in which a child is loved and cared for has a direct effect on how their brains develop and their emotional well being. Inconsistent parenting and not responding to a child’s needs can be detrimental. Helping Children Resolve Emotional Hurts, Naomi Aldort: Instead of dismissing our children’s hurts and disappointments, Aldort shows how we can make kids feel understood and validated when things don’t go their way. How to Soothe a Crying Baby, Naomi Aldort: We all want to calm our babies’ upsets, but in this article Aldort discusses common reasons for crying and that sometimes our best role is that of the patient listener. The Chemistry of Attachment, Linda Palmer: Scientific explanations for why skin-to-skin contact, snuggling and responsiveness creates healthier, happier families! Attachment and Separation, Dr. Peter Cook: The science behind our natural bonding behaviors explains the negative impact separation can have on mother/baby pairs. The Changing Role of the New Father, The Attached Family: Though a newborn’s need for its mother is undeniable, dads can and should bond with their infants in meaningful ways, too. Divorce, Custody and Blended Families, API: This roundup of articles proves that attached families take many forms and gives tips for maintaining your commitment to your children despite changing circumstances. Ideology Gives Way to Nurturing for Adoptive Parents, Audora Burg @ SturgisJournal.com: This story of an attached family who have foster parented more than 70 children proves that even brief periods of respect and loving care can be beneficial. Finding an AP-Friendly Caregiver: Questions to ask potential caregivers that emphasize attachment principles and methods. Introducing a New Caregiver, William Sears, M.D. : Dr. Sears gives practical advice to parents to help children transition to new caregivers.